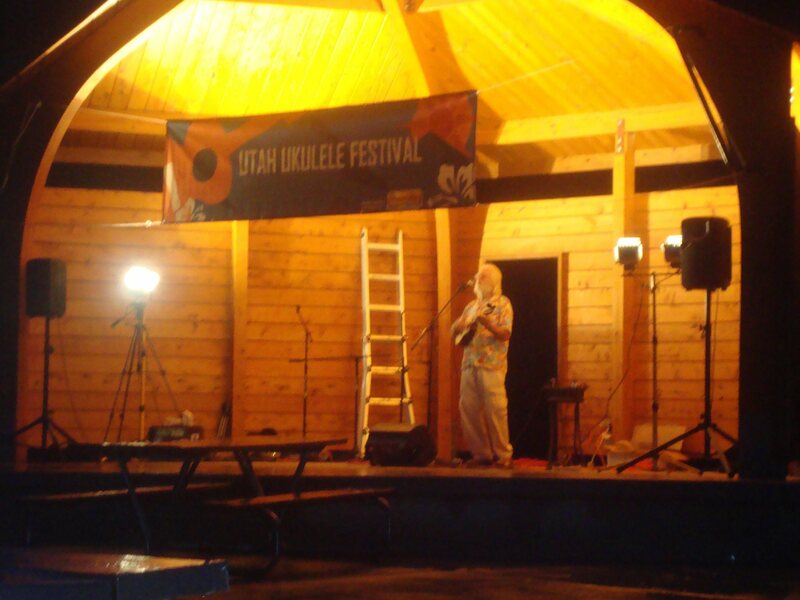 Utah Ukulele Festival® 2014 has finished. 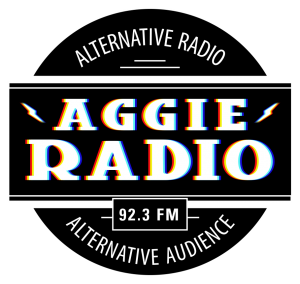 Check some of the photos here on our site then go to Cache Valley Daily Photo Gallery to see all the pictures they took through out the event! 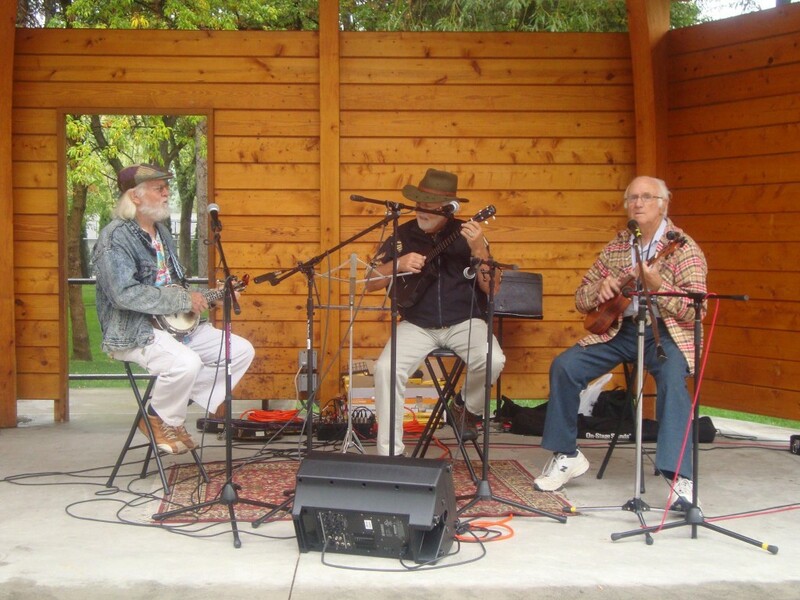 Dan “Cool Hand Uke” Scanlan, Max Willard, “Ugly” Earl Bradly performing to fill time. Our awesome children’s instructor, Meiken Fielding, giving a lesson to some really eager children. They all had a lot of fun! 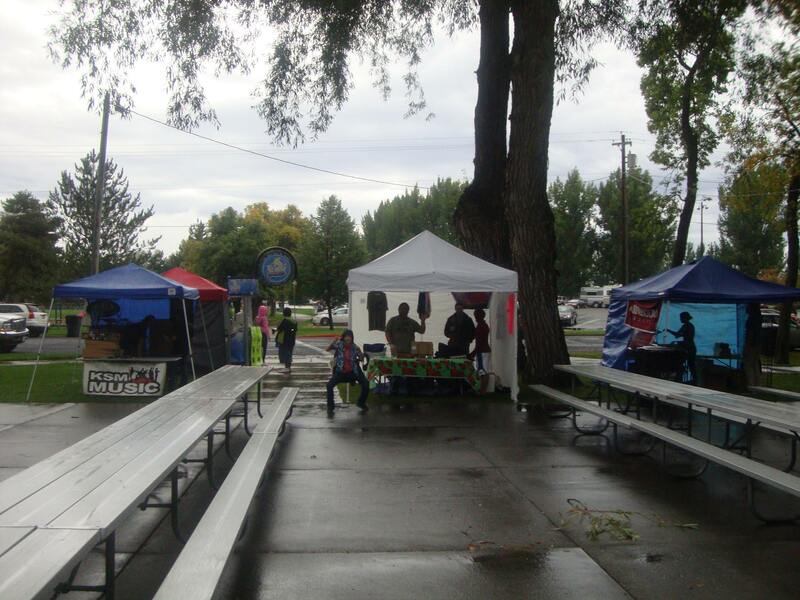 Some of the vendors who braved the festival along with the UUF “Welcome” booth. 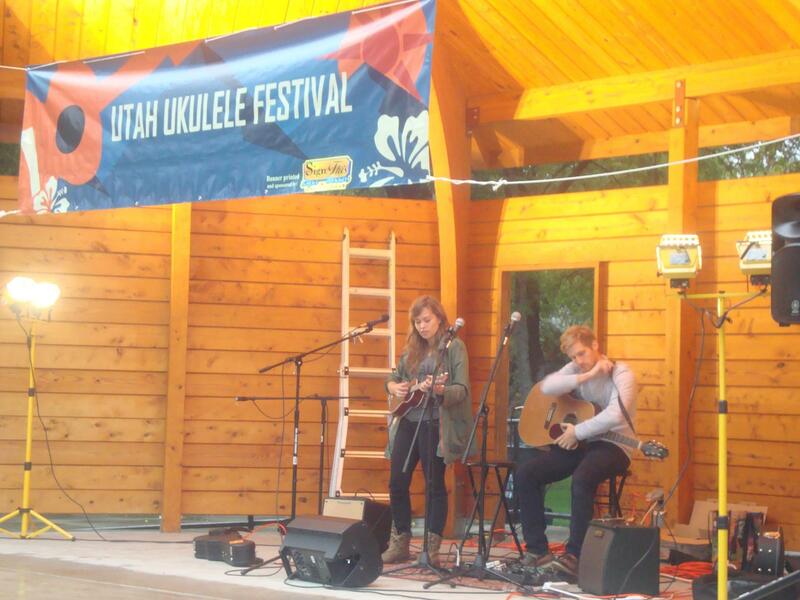 We were SOOOOOOO excited to have Selja Sini and B back to perform again at this year’s Utah Ukulele Festival. We love their fun and inviting style, and they both make it look so easy that you can’t help but want to pick up an ukulele afterward. 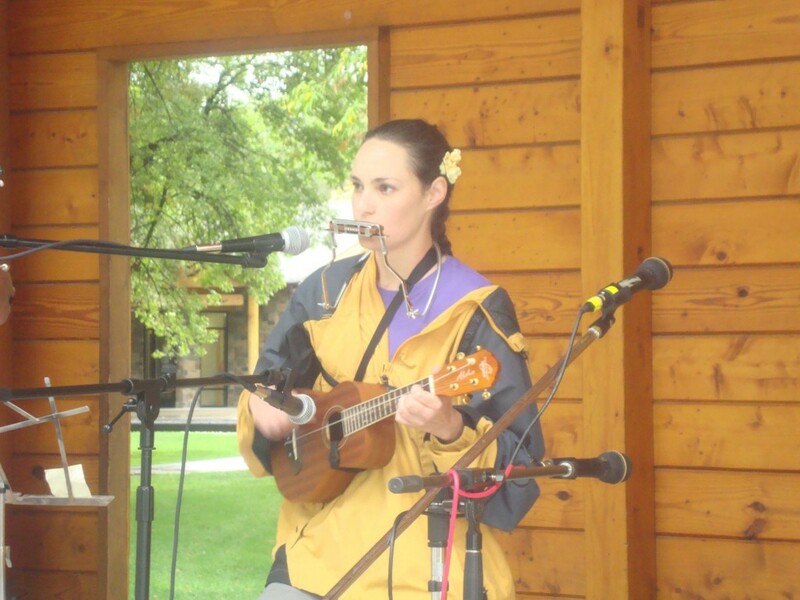 Mahalo for braving the weather and sharing your amazing talent with us. 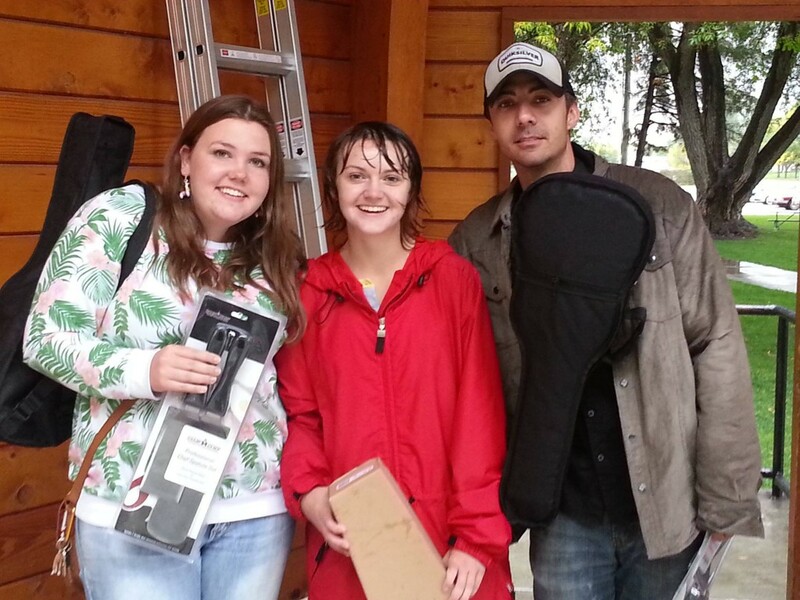 Hope to see you again next year, and good luck with your CD sales!!! Can’t wait to listen to ours!! Congratulations to our Open Mic Competition winners (middle) Kaylee Allen (1st),(left) Merinda Young (2nd), and (right) Chris Fairbanks (3rd)!!! And a HUGE mahalo goes out to KSM Music and Camp Chef for providing the prizes for our three winners. I have to say that it really takes a lot of guts to get out there and perform, and to all those who got up there and shared their talents with us (winner or not) you are all amazing!!! 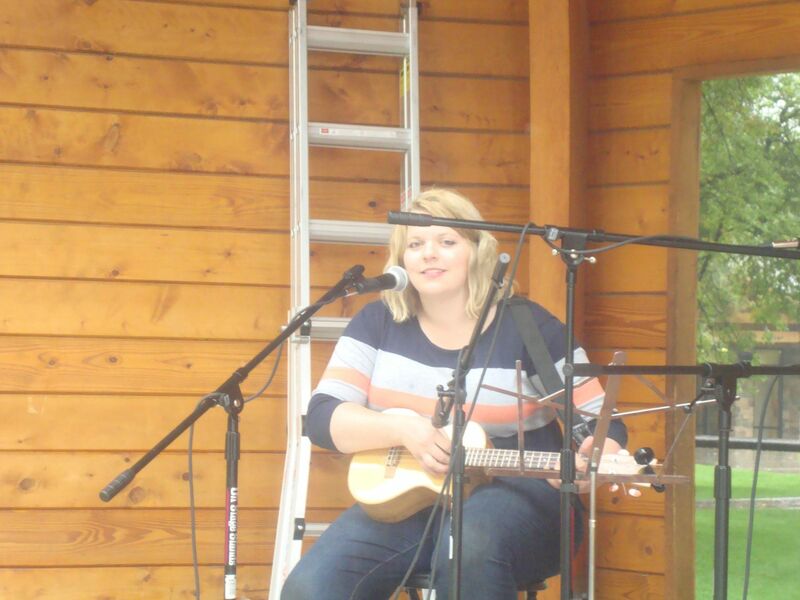 Thank you for being brave enough to get up and perform for us and share you love of the ukulele with us all. I know I couldn’t do it. Mahalo again. We really had a great time!!! David, Jeff, and I had such a fun time getting to know Dan “Cool Hand Uke” Scanlan this weekend. 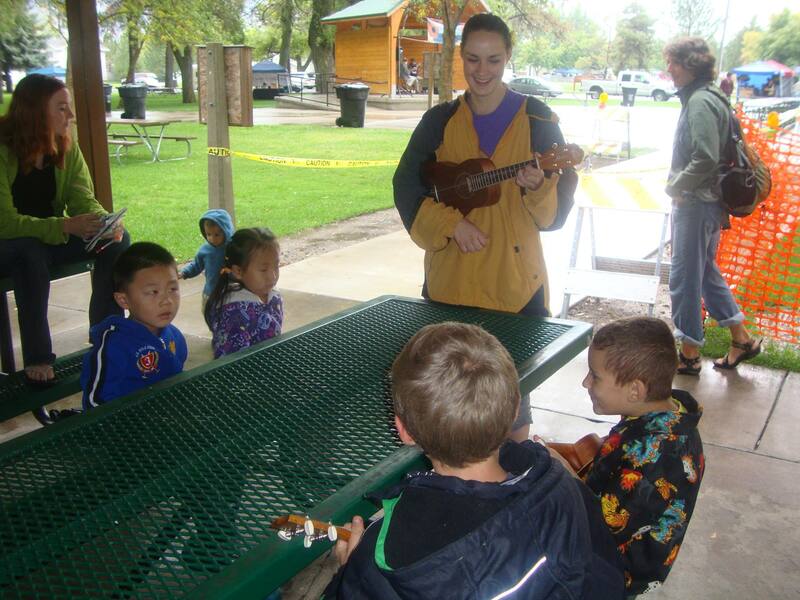 He is not only a very Very VERY skilled ukulele play, he is also such a nice, down-to-earth, funny guy. Mahalo, Dan, for coming out this year and sharing your story with us. We hope to see you again in the future! !